There are the two purposes of providing Annexure “D” and can be drafted as per the purpose of the Applicant. The First Purpose of providing Annexure D is For Change of Name of Lady Applicant after Marriage. The Second Purpose of providing Annexure D is for Endorsement of Name of Spouse in respect of re-issue of previously issued passport. How to Draft Annexure “D” for First Purpose? Mention the Details in the prescribed proforma like- Maiden Name of Wife (Old Name), Name of Husband, Marriage Act, Name of Wife after Marriage. Mention all these Details in the proforma of Annexure D.
Purchase the Non Judicial e-Stamp paper of minimal value i.e of Rs. 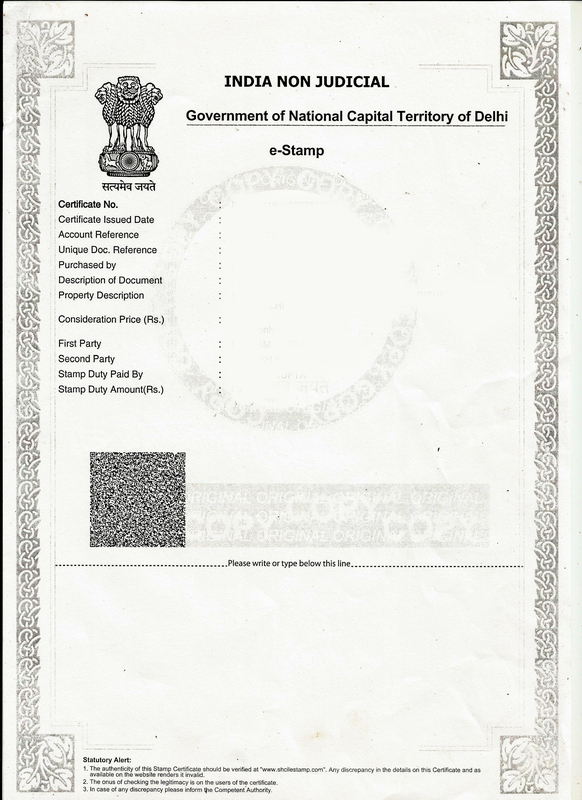 10/- and execute the filled up proforma on the purchased e-Stamp Paper. Start Printing from below the line written Please Write or Type below this line and attach the remaining paper with the e-stamp paper. After Completing the Step 2, Paste the Joint Photograph of the Couple on Bottom left hand side of the Affidavit. Both Husband and Wife have to Sign the Affidavit and Make the Affidavit as well as photograph attest from Judicial Magistrate/Executive Magistrate Or Notary Public. That’s it! Provide the Affidavit to the Department. How to Draft Annexure “D” for Second Purpose? Mention the Details in the prescribed proforma like- Name of Wife , Name of Husband, Marriage Act and Remove the Clause 3 from the Affidavit i.e That …………………………. (maiden name of Wife) would henceforth be known as ……………………………………..(name of wife after marriage) by virtue of our marriage. Remove this Clause and fill the other required details. 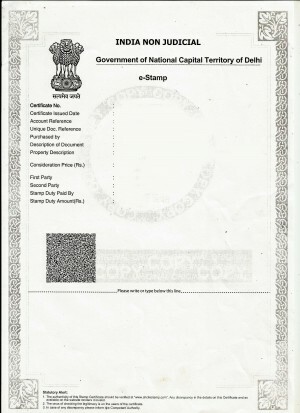 Purchase the Non Judicial e-Stamp paper of minimal value i.e of Rs. 10/- and execute the Affidavit on the purchased e-Stamp Paper. That’s it! Provide the Affidavit for Endorsement of Name of Spouse to the Department. We eDrafter provide the Annexure “D” at doorstep. What simply you have to do is, Just Fill the provided Form at our website, Place Order and we will draft your Annexure “D” on relevant e-Stamp Paper and deliver it to you at your place on the very Next Day. This process will not only save your time but will save your money too.